What will you desire of the Greater Grail? plays out on this Weiß and Schwarz battlefield! Relive the Masters’ Command Spells or the Servants’ Noble Phantasms through various abilities and Climax Combos. or challenge them alongside the Servants and Masters of Red? Multiple cards that strengthen the prowess of cards from the simultaneously released Trial Deck+! 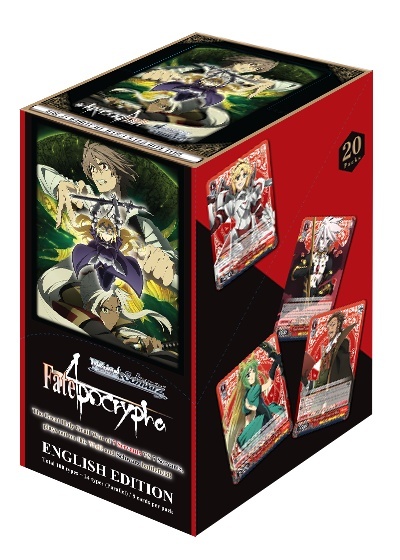 The cards in this Booster Pack may be used together with cards with card number beginning with 「APO/」!